We offer a wide range of hotels near Hibernian from cheap accommodation to up market luxury hotels. Search our database of hotels to find the lowest rate for your stay closest to Easter Road. Sumptuously furnished, these 5-star luxury apartments boast beautiful décor, sound systems, and LCD TVs with Freeview channels. Free parking is available, and Edinburgh’s historic centre is just a 10-minute drive. 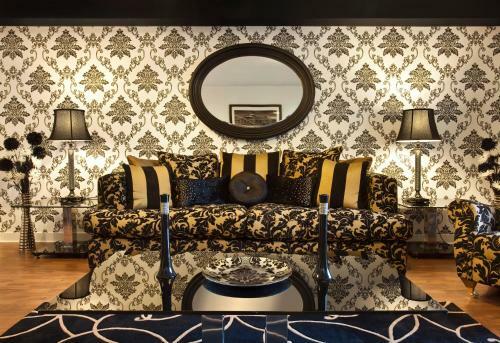 Overlooking Leith Links Park, the Culane House Hotel is 2 miles or a 10-minute bus ride from Edinburgh city centre. Free Wi-Fi and free on-street parking is available. The rooms feature flat-screen LCD TVs, DVD player and iPod dock. Destiny Student - Murano (Campus Accommodation) is located within 15 minutes' walk of the city centre. 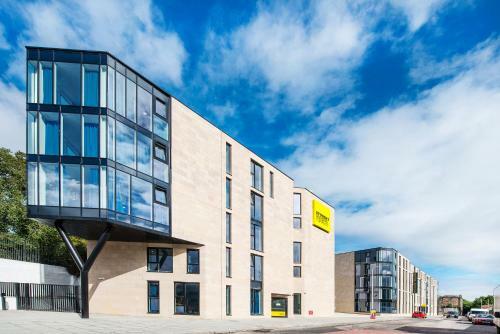 This purpose-built student campus accommodation offers guests a central base in Edinburgh. 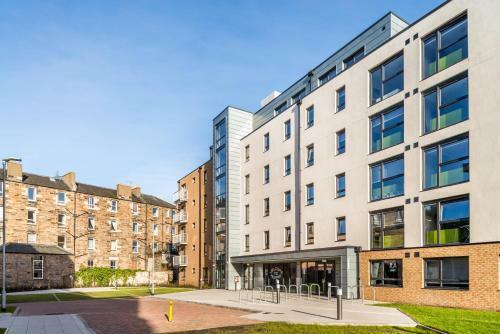 Destiny Student – Shrubhill (Campus Accommodation) is located only 10 minutes' walk from the tram stop, bus station and Waverley train station, this purpose-built student campus accommodation offers guests a central base in Edinburgh.